A Ventura man and agent with the Department of Homeland Security surrendered to federal authorities after a grand jury on Wednesday indicted him and four others who allegedly participated in a long-running immigration fraud scheme that was fueled by official corruption. James Dominguez, 46, a special agent with the U.S. Immigration and Customs Enforcement’s Homeland Security Investigations, surrendered to federal authorities Thursday morning. The 18-count indictment outlines a wide-ranging bribery scheme in which attorney Kwang Man “John” Lee – who was previously charged in a criminal complaint and is not named in the indictment issued yesterday – used illegal tactics to procure immigration benefits for clients. Lee allegedly paid bribes to public officials to secure admission stamps and lawful permanent residency status for aliens who paid fees ranging from a few hundred dollars to well over $50,000. Lee also allegedly paid the officials with expensive gifts – including at least three Thailand vacations for Dominguez. 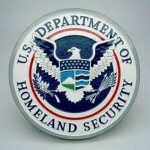 Also indicted on Thursday were USCIS Supervisory Officer Jesus Figueroa, 66, of Tujunga; former USCIS Officer Paul Lovingood, 71, of Newhall, who also surrendered to federal authorities on Thursday; U.S. Customs and Border Protection Officer Michael Anders, 53, of Torrance; and Mirei Hofmann, 38, of Los Angeles, a native of Japan, who allegedly paid Lee tens of thousands of dollars to secure a permanent resident card. The indictment alleges two conspiracies involving bribery and fraud against the United States (Figueroa, Dominguez and Lovingood are charged in one conspiracy; Anders is charged in the second). The indictment also alleges seven counts of bribery, two counts of making false statements, three counts of misuse of government seals (USCIS approval stamps), three counts of false stamps, and Hofmann is charged alone in one count of immigration fraud. The conspiracy counts carry a statutory maximum penalty of five years in federal prison, and the bribery counts carry a statutory maximum penalty of 15 years in prison. If convicted of all counts in which they are charged, Figueroa would face a statutory maximum penalty of 80 years in federal prison; Anders would face a statutory maximum sentence of 65 years in federal prison; Lovingood would face a statutory maximum penalty of 20 years in federal prison; Dominguez would face a statutory maximum sentence of 20 years in federal prison; and Hofmann would face a statutory maximum sentence of 10 years in federal prison. No doubt, after a lengthy investigation, it will be determined that Mr. Dominguez is here illegally. Or he’s an anchor baby. This makes one wonder about the FEMA audits that were done in north county. First the auditors of Homeland Security claims millions were used improperly and then “presto chango” everything is claimed to be on the up and up. I hope they all get the max. punishment. There is so much wrong with the state of California. The entire DHS needs to be DISBANDED. It was a TERRIBLE IDEA, and is proving that every day it exists. There should also be a complete RESET at the State Department, too (they have not had an Inspector General for over 5 years). These agencies have become so corrupt it is disgusting. DHS *started* corrupt, and it’s only devolved since then. Leave homeland security to the FBI, US Marshal Service, and State/Local police and sheriffs. The FBI and CIA can maintain a shared database and/or training, as needed. The sad part of this whole article, however, is that if those immigrants had a bit more, they could just buy their way in. (usually for around $500,000). Or a cheaper “anchor baby” special of around $25,000 (but obviously limited to pregnant women in their third trimester). The DHS has been corrupt from its fetid birth. It is long past the time to get rid of this useless waste of taxpayer money.